Buy man cave gifts online! 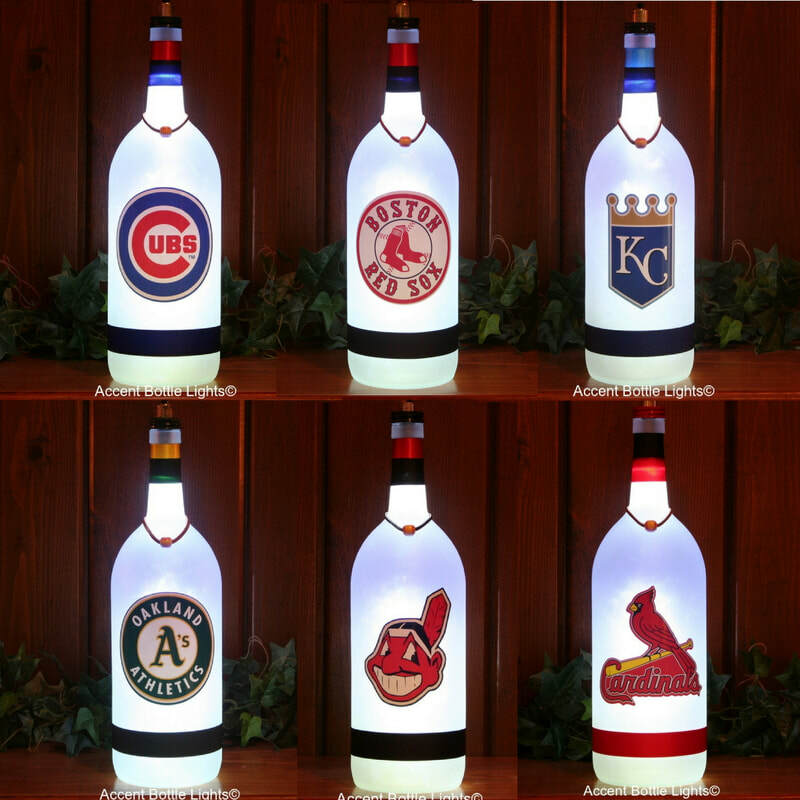 Shop our sports team lamp store for LED wireless sports team bottle lights for his man cave that score big with men who have everything. 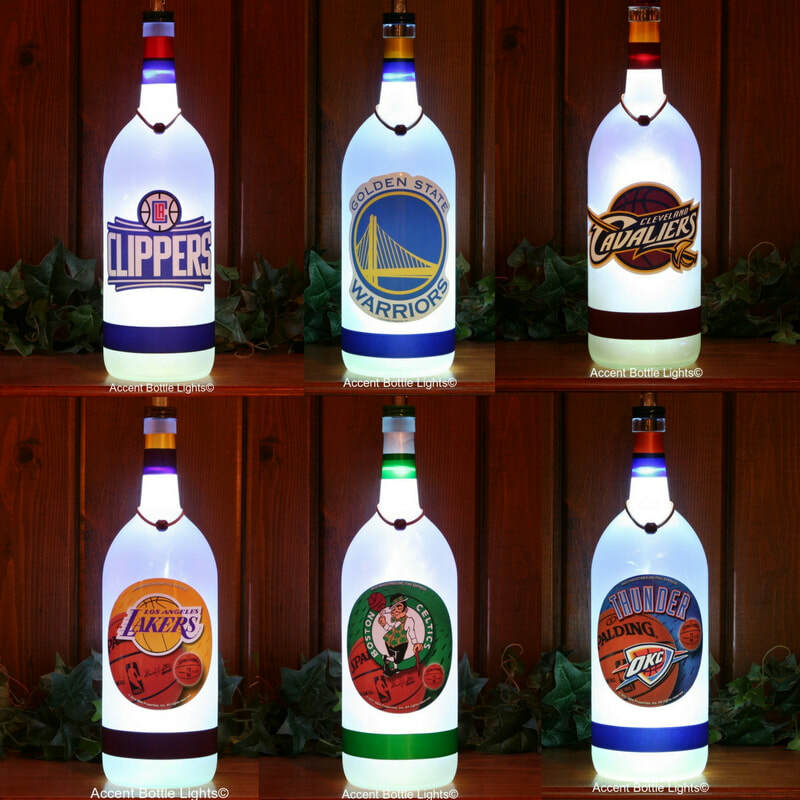 They're also a great decor gift for his bar or rec room. 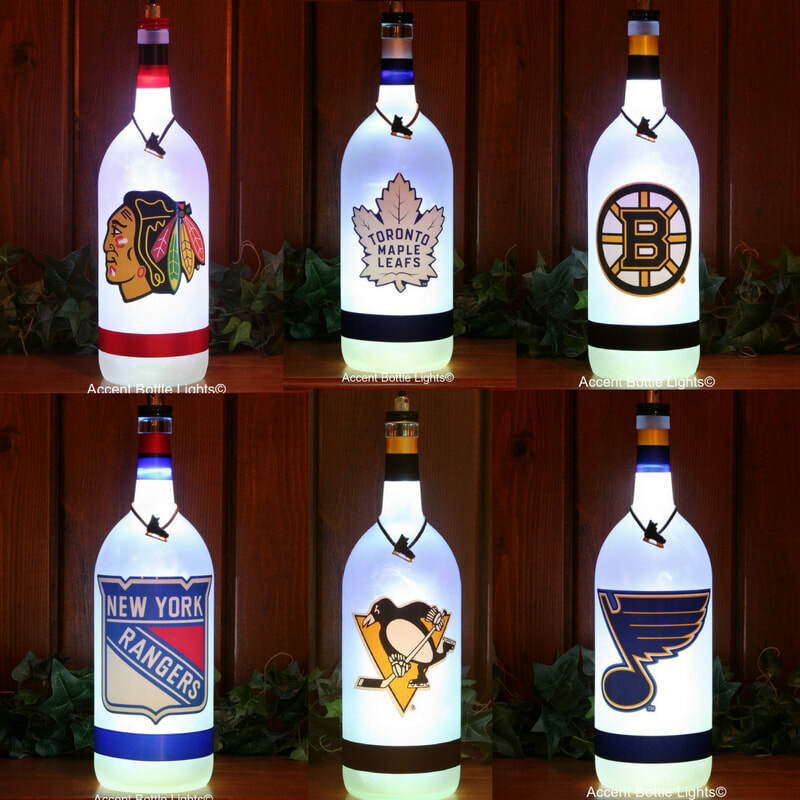 Regular gifts like tools, clothing, or car gear are expected, so when he opens his sports team bottle light, he'll be shocked to receive a cool manly decor lamp that's certain to spark conversation with family and friends. Your hard to buy for sports fan - mission accomplished! 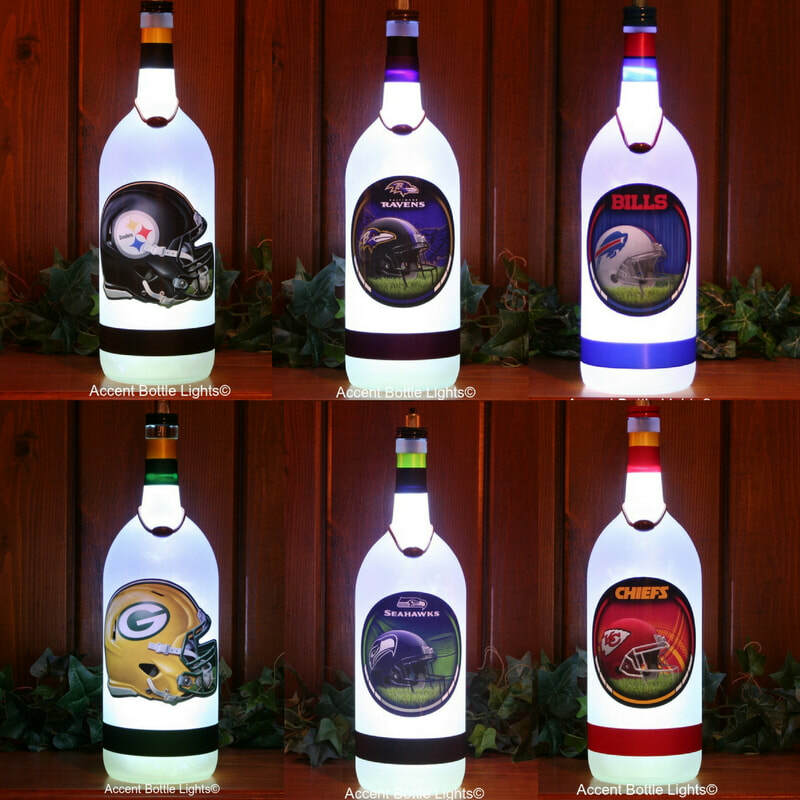 The man cave sports team lamps are handmade using frosted glass wine bottles, licensed sports team decals, ribbons, sports charms on genuine leather cords, push button LED wireless light screw caps, and material inside for intriguing shadow effects.